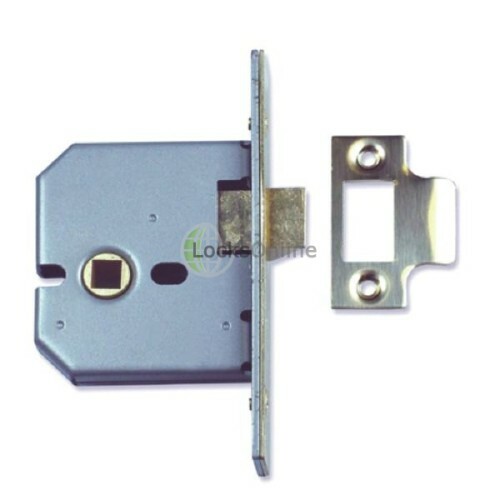 Fire rated for use on fire doors in commercial properties, this UNION heavy duty flat pattern latch is a very common choice for latching fire doors into the closed position without a locking function. Its EN1634-1 Rating gives it suitability for use on 60 minute fire doors! While these offer no physical security, they do allow the use of handle to open / close a door, whilst also ensuring that your fire doors are kept closed snugly within the frame. 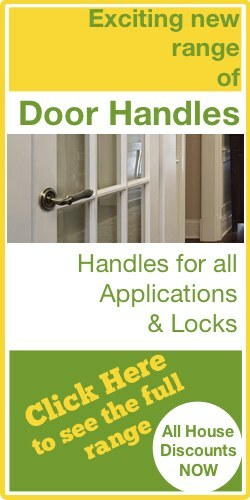 Its heavy-duty rating comes from the strong internal components allowing for use on high-traffic doors in constant use. Because of this, you are also able to use un-sprung handles as well as sprung handles, and of course, the case is designed to accept bolt-through fixings as this is very common on heavily used doors. 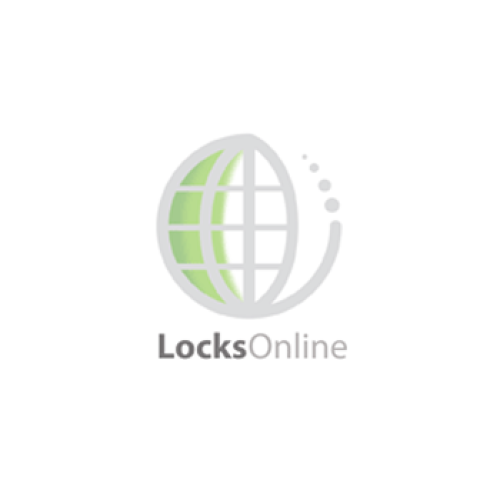 To compliment this rating, UNION have granted this latch their excellent 10 year guarantee. Optionally, rebate kits are available should you require them. But today we're looking at Union, and we're looking up to 2677 mortise latch. And of course it's designed, it's not necessarily a lock it's just basically a latch to hold the door. 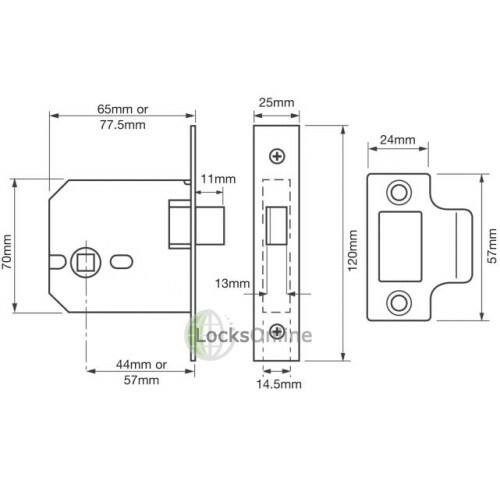 But one of the distinctive advantages with this particular type of latch is its quality. 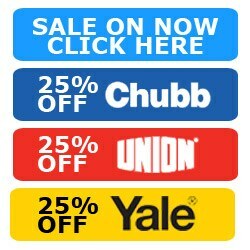 And when it comes to Union products, as far as I am concerned, I could vouch for the quality of their product. I think that the quality is good, so there should be no reason why you might not consider this particular lock. Look at me, this latch. Now one of the things about this particular latch is you can see here is its better quality and of course it's a full-bodied case. It's not a tubular latch. 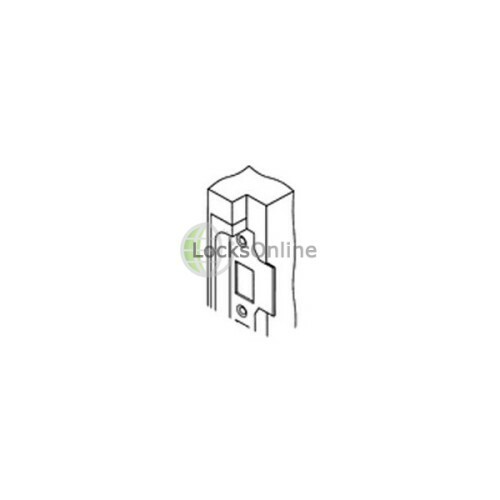 And one of the distinct advantages we have in this full-body case like this, is the engineering prowess that's built within it ensures for a good smooth operation. The way that this lock works is it is smooth and it's accurate. And when you're thinking that you're going to maybe investing 60 or 70 or even 100 pounds on a decent pair of handles for a door, you want to make sure that the latch that you're going to be investing in as well is as smooth and is precise in the operation as that of the handles. So please if you're going to invest that sort of money on a nice pair of handles don't go waste it all by spending a pound on a tube on a latch, go and buy yourself something decent like this if you're looking for that smoothness and the quality in which how the actual lock works. Now this particular one is available in a 2.5 inch lock case, that's the depth of the lock case and also a three inch version. It's available in brass and also in a satin stainless steel version like that. It comes standard with a key here as you can see. There's a protective covering over this to maintain the finish until you actually fit it. 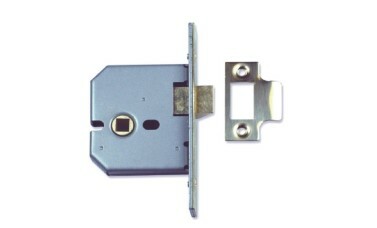 One of the other advantages with this particular type of latch as well is you can see here is that it has cut outs. And the idea of these cut outs is to allow to use door to door finish. When you start going upmarket for a little bit of furniture, the chances are it may be bolt-through in which case then these will knock out your design but the handles will clamp to each other which makes the fixing of the handles far stronger than those just screwed to the wood. If you have the opportunity use both through you know that this particular lock will accept that or this latch will accept that, sorry. Let me give you some measurements on this. The actual forend length 120 millimetres the forend width there is 25 millimetres. On this particular lock which is the two and half inch version the lock depth is 67 millimetres, the back side that's the distance from the face to the actual central fall over there, that there is 46 millimetres or 45 about 46, 47 millimetres there. The actual centre fix in there just to give you some sort of idea. If I measure from the centre, if you can zoom in there, we're going in round about 32, 35 millimetres there between those two centres. That gives you some sort of idea if you're looking for furniture whether or not this will actually work in conjunction with the furniture that you're looking for. The actual thickness of this case probably is going to be about 15 millimetres. It's right around 15, it's 14 millimetres, so it's pretty industry standard in that respect. If you want to change the handing of this particular latch, all you would need to do is undo that screw there, the actual latch will pull out, turn it around, you pop it back in, tighten up the screw and that's it. That's how you handle it so it's very, very simple. 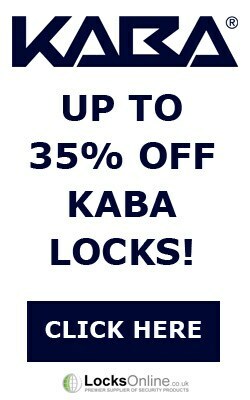 So there you go guys, there's not really much more than I can say about that, but if you are thinking about looking up buying yourself a decent pair of handles, then seriously look at buying yourself a decent latch to go in conjunction with it. This is the Union 2677. 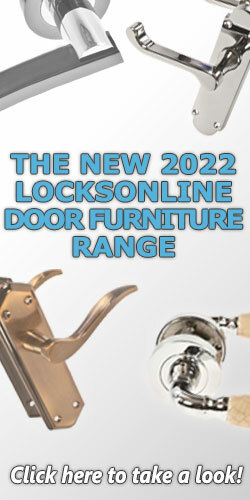 It's available on our website LocksOnline.co.uk. But listen if you need a bit more information or you want a bit more of advice, by all means log on, come on to our website use the live chat that we have, that's totally free. You can chat with me or any other guys in the team. We'll be more than willing to help you, and more importantly, we would like to see you as a customer of ours. That would be really good for us. From me, Darrel, and all of us here at Locks Online team thanks for tuning in and come back and visit us real soon. Take care now, bye-bye.